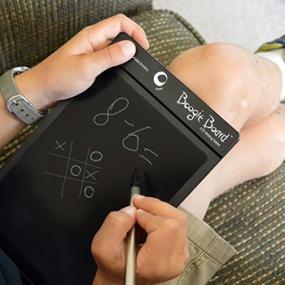 The Boogie Board Original 8.5 LCD eWriter is the model that started the paperless writing revolution. Ultra light (4 oz) and thin (1/8“), one just isn’t enough. Get one for on the go, in the office and multiple places around the house – almost anywhere you’d keep memo pads or scrap paper. Lightweight and easy to use for all ages. Fits easily into backpacks, schedulers, or purses. 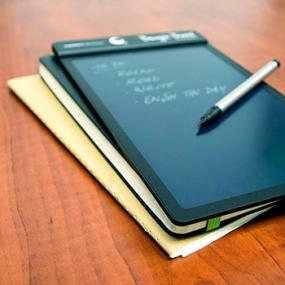 Package includes Boogie Board eWriter, Stylus, Stylus Clip, Attachable Magnets and User Guide. Keep organized around the office or at home and erase your image with the touch of a button. Great for writing to-do lists and other short memos that you would normally use sticky notes for. 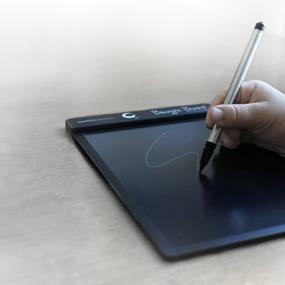 Write or draw with the included stylus or almost any other instrument – even your finger. 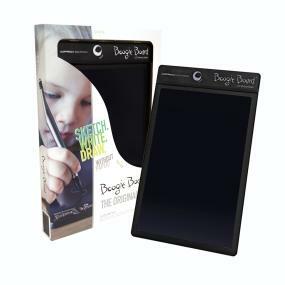 The revolutionary Reflex LCD featured in the Original 8.5 Boogie Board LCD eWriter retains an image indefinitely without power until you press the erase button to clear the screen. The perfect item for anybody on your gifting list. 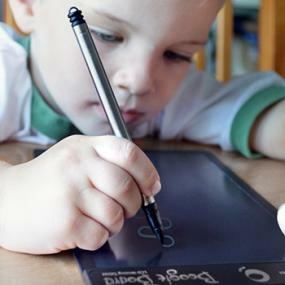 Great for children to practice writing and playing games in the car. 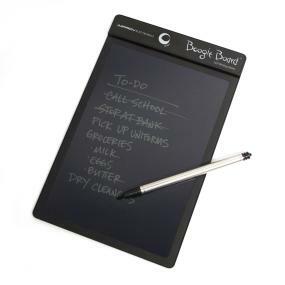 Perfect for grocery lists, to-do lists and leaving notes for friends and family.